Home / Advertisement / Brand / Business / Celebration / Entrepreneur / Fashion / Festival / Marketing / alkaram launched festive collection 2018 with Ayeza Khan as the Brand Ambassador! 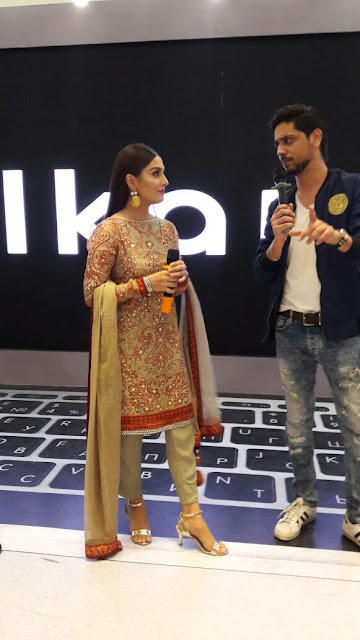 alkaram launched festive collection 2018 with Ayeza Khan as the Brand Ambassador! Karachi,Renowned clothing brand alkaram launched its festive collection volume 1 with Ayeza Khan as the Brand Ambassador. alkaram’s festive collection is the most premium, top of the line and celebratory collection of the year 2018, consisting of Chiffon, Silk and jacquard fabric embellished with intricate embroidery to make the dresses look opulent and formal according to your choice. With maroons, reds and copper, alkaram’s festive collection proves to be a winner this season. Having previously worked with a number of celebrities, alkaram this year introduces Ayeza Khan as their brand ambassador as she fits their brand DNA of timeless grace and elegance perfectly. Star of numerous hit drama serials, Ayeza is an award winning actress who with her amazing acting skills has won over the Pakistani drama audiences over the last few years. 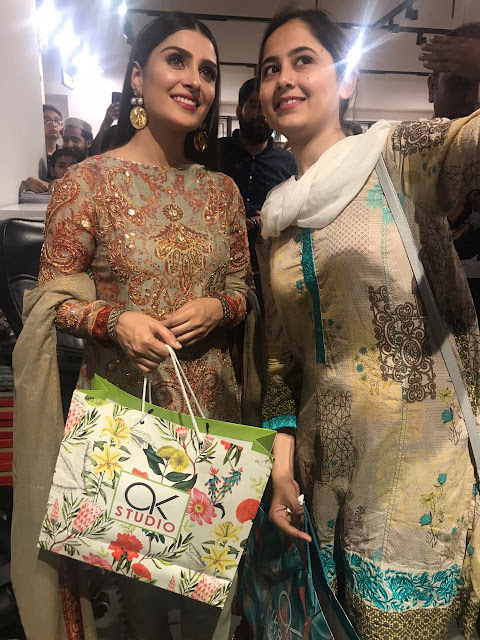 To celebrate the newly launched festive collection, Ayeza made a surprise visit at Lucky one Mall to present gifts to the loyal Alkaram consumers. The whole crowd at the mall enjoyed her presence, waved, talked to her and took loads of selfies with the diva. alkaram festive collection is now available in stores and online. Building on the strength of alkaram Textiles, the concept was created for customers to experience the depth, range and creativity of the alkaram product portfolio. From fashion fabrics and apparel for Men, Women and Kids, to Home Textiles and home-ware needs, alkaram studio offers a complete creative concept where customers can realize their dreams and aspirations. alkaram studio is a perfect haven for aesthetically-inclined women, who can bring their style language to life with fashion fabrics, ready-to-wear lines and stunning accessories from our stores.